This upcoming NFL season I’ll be doing weekly NFL fantasy updates on former Alabama players who qualify. I’ll give match up breakdowns in each feature, providing data and information that should prove helpful in winning your league. Remember, when playing fantasy football, it’s always important to start and bench players based on opposing match-ups and not personal fandom. For instance, if a player has a history of not producing against a team, it wouldn’t wise to start them. However, if a player has a history of playing well against a team it would be in your best interest to have them on your roster for that week. 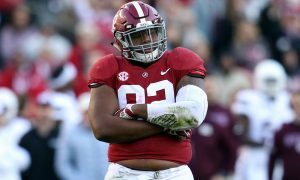 Based on my analysis, I give our readers 3 Alabama players who to start and who not to start for the opening weekend of the 2018 NFL season. 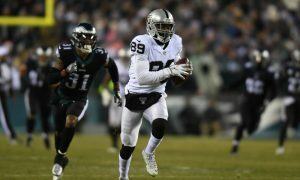 In the Divisional playoff against Philadelphia, Jones has 9 catches for 121 yards on 16 targets. Matt Ryan has always made it a point to feed and that won’t change even with Calvin Ridley in the fold. In five careers games against Philadelphia, Jones has 35 receptions for 545 yards and 3 touchdowns. Stats indicate that Jones is due for big game on Thursday night. Philadelphia finished 17th in pass defense a year ago and they lack a corner on the outside capable of erasing Jones from the game plan. 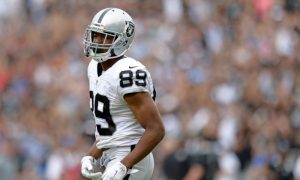 Cooper is on this list because he is the best receiving option for Oakland this season. Martavis Bryant was released and Jordy Nelson hasn’t been the same since his ACL tear in 2016. The Seahawks ranked sixth in pass defense, but that unit no longer has Richard Sherman or Kam Chancellor. Byron Maxwell was recently placed on injured reserve and All-Pro safety Earl Thomas has yet to report. 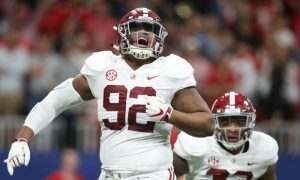 This could lead to many favorable matches for Cooper and he will be targeted early and often as possible. 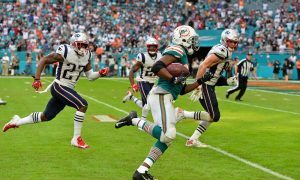 TJ Yeldon has quietly become one the better third down running backs in the NFL. 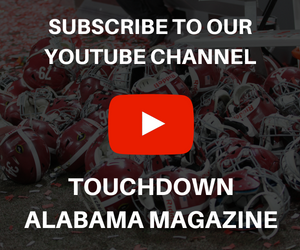 Since 2015, Yeldon has 115 receptions. That’s an average of at 35 receptions a game. In the preseason he showed great hands and route running ability with 8 receptions for 96 yards. 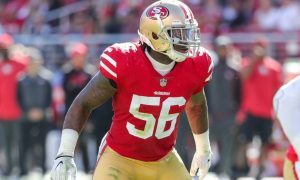 The Giants have issues at linebacker and it would make sense if offensive coordinator Nathaniel Hackett exploited that match up with Yeldon. 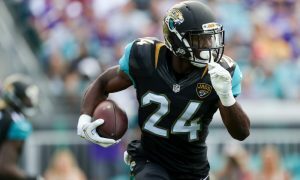 Yeldon could be a solid number 2 option for your line up, as he offers great value in the passing game. Howard is going to have a fantastic season but with Jameis Winston suspended for three games his production will be hindered. In the preseason he only caught 4 passes when playing alongside new starter, Ryan Fitzpatrick. Cam Brate had 7 catches and it’s clear the two have chemistry. I expect that chemistry to carry over until Winston returns. Finally, the Buccaneers play against a Bears defense that is much improved after adding Roquan Smith and superstar defensive end Khalil Mack to wreak havoc on opposing defenses. Those two could easily disrupt the passing game and Howard’s chance of producing. Ridley will have a fine rookie year, but it will have to wait a few weeks. Wide Receivers typically have a tough time adjusting to NFL and the speed of the game. I’m not saying that Ridley won’t breakout and explode, it’s just harder for younger receivers to produce and it’s been proven in years past. Since 2013, only six receivers have gone for over 1,000 yards in a season. Ridley is talented enough to accomplish that, but his development may take a few weeks. 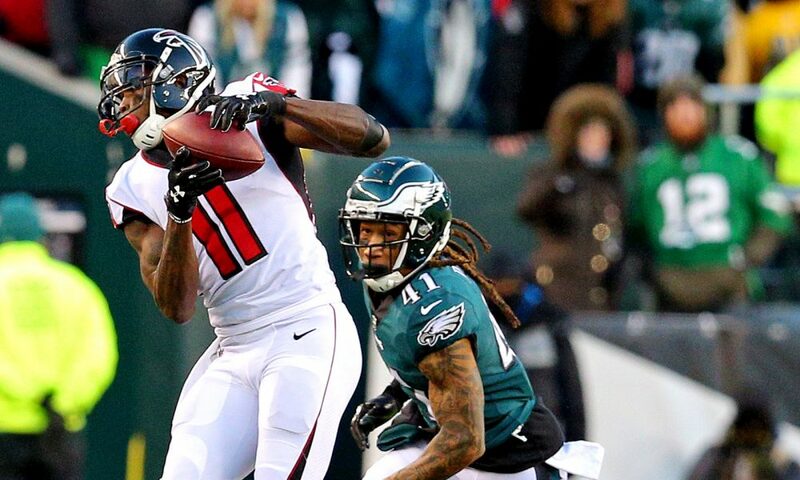 He’s also teammates with Mohamed Sanu and superstar Julio Jones, who will command their fair share of targets. 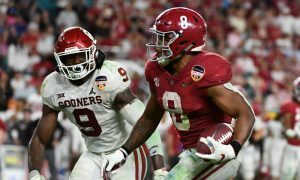 Drake is a true dual threat out of the backfield. He can make game breaking runs in the running game and he can even stretch defenses in the passing game. Between rushing/receiving, expect Drake to normally get 15 to 18 touches a game. However, the Titans finished 4th in rush defense in 2017 and it’s safe to assume there won’t be a drop off under head coach Mike Vrabel. Veteran runner Frank Gore will have a role Sunday and that could cut into Drake’s production. I would not be surprised if Gore was the preferred option in goal line situations due to his physical running style.